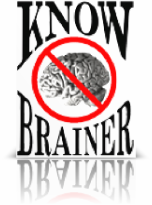 KnowBrainer is The worlds #1 reseller of Nuance's Dragon software. Offering a complete line of Nuance's award wining software, KnowBainer supports your purchase with the worlds most popular Speech Recognition Forums. But NaturallySpeaking and Dragon Medical are only the tip of the iceberg, KnowBrainer extends the capability of NaturallySpeaking with KnowBrainer 2017 Command Software, a complete set of macros for PC automation, giving you everything for effortless control of your PC and applications.